Below is a list useful personal finance books written by real people (and not the financial services industry). Books are an efficient way to learn the basics of personal finance or to take a deep dive on a specific subject. 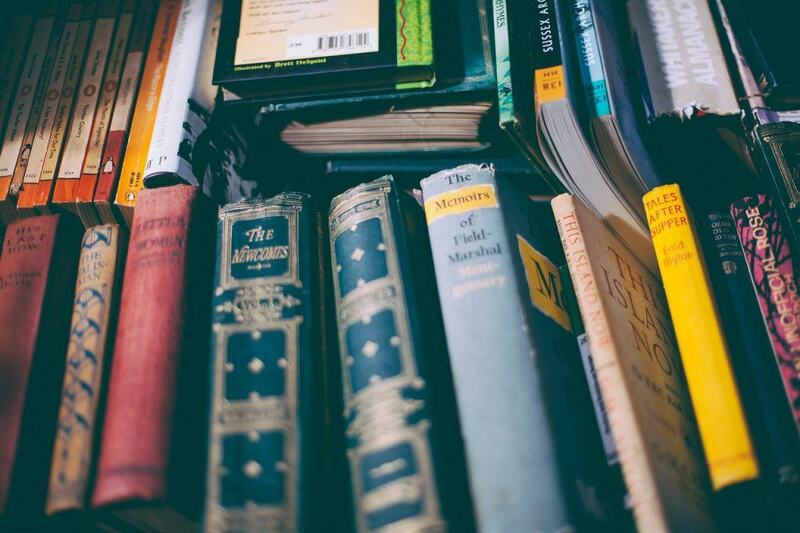 If you want to absorb personal finance, the best move you can make (besides – shameless plug – following the blog or subscribing to the email list) is to pick up a few good financial books to read each year. Because I’m asked this question frequently, rather than repeating myself, below are all the books that I think are worth your time plus a short description. I’ll keep this page updated with the latest financial books as I’m constantly reading. Don’t forget that you can get a lot of these at the library for free, although sometimes it’s nice to have a hard copy around to refer to when you get caught up in some financial question. The Simple Path to Wealth by JL Collins. Jim’s book is a masterpiece of easy-to-read financial information that will have you set for life. This is a great first book if you consider yourself completely new to personal finance, yet I suspect that almost any reader will find something of value. The White Coat Investor: A Doctor’s Guide to Personal Finance and Investing by James Dahle. Written by a practicing emergency physician, this book is aimed at doctors and discusses a few topics that are particularly relevant to them (e.g. medical school residency and the big salary bump when you reach the attending level) however there is more than enough in here to make it valuable to any lawyer. With nearly unanimous 5-star reviews, how could you go wrong? Like The Simple Path to Wealth, this book is a perfect introduction to building wealth but would also be beneficial for an experienced investor, particularly when he covers topics such as disability insurance and other ways to protect wealth. Maybe some day I’ll contribute my own book covering situations unique to lawyers. If You Can by William J. Bernstein. If you’re not quite ready for several hundred pages, Dr. Bernstein wrote a primer for millennials that’s only 16 pages along. It’s also free. There’s not much you have to do to build wealth, but Dr. Bernstein recognizes that it’s harder than it seems. The Bogleheads’ Guide to Investing and Guide to Retirement are two great books written by various Bogleheads. If you’ve never heard of the Bogleheads, stop by the forum and prepare to learn. Literally the nicest place on the Internet, the Bogleheads is a multi-million dollar gift to the internet free from ads. It’s one of the few places where you’re likely to get thoughtful and helpful responses to your questions. The books are pillar editions for your financial education. The Essays of Warren Buffett by Warren Buffett. Warren Buffett writes amazingly letters to his shareholders each year chock full of gems and good financial advice. This collection of his essays is a masterful cut and paste from those letters that ties the different sections around particular themes. If you’re looking for wisdom directly from the Oracle of Omaha, this is the place to find them. J.K. Lasser’s Your Income Tax by J.K. Lasser. More of a reference book than the type of book you’ll read while curled up on the couch, each year there is a new version released which goes through your tax return in painstakingly precise detail. I have a reference copy of this on my shelf and pull it off each year when I’m preparing my taxes or if a reader asks a particularly thorny tax question. You won’t read this book from cover to cover but it’s a great collection of information on all the different tax forms. Why Smart People Make Big Money Mistakes and How to Correct Them by Gary Belsky and Thomas Gilovich. If you’re interested in behavioral economics and why might be your own worst enemy, this is a great book on how to outsmart yourself and what pitfalls to look at for as you go through your financial life. You’re smart enough to earn a law degree but are you smart enough to realize your own limitations? The Little Book of Common Sense Investing by John Bogle. Still not sure that indexing is the way to go? Jack Bogle, founder of Vanguard, has a little book of common sense investing that he wants to share with you. When you think about it, society as a whole earns the market return no matter what, so why do you think you’ll do better than your peers? The Millionaire Next Door by Thomas J. Stanley. It’s a classic for a reason. The millionaires in the United States are precisely those people that don’t necessarily look like millionaires on the outside. The lessons from this book are just as relevant today as they were when it was originally published. Your Money or Your Life by Vicki Robinson. Another classic, Your Money or Your Life is a way to transform your view of money. Think early retirement or financial independence is something that happens when you’re 65? This book will change your perspective. Until Mr. Money Moustache writes his own book, Your Money or Your Life continues to be a solid choice for thinking about money as the ability to purchase your freedom. How to Think About Money by Jonathan Clements. Not just a behavioral finance book, How to think About Money tries to get you to worry less about money and make smarter financial decisions with the money you have. I liked it so much that I wrote my own review (see my highlighted notes here).